Have you ever thought of a toilet as a luxury? Probably not. In fact, did you ever put the words “toilet” and “luxury” together? What would that even look like? Good news. We’ve got the scoop on some of the most luxurious toilets available. Even better news? No matter what toilet you buy, Eyman Plumbing, Heating & Air Conditioning can install it for you. 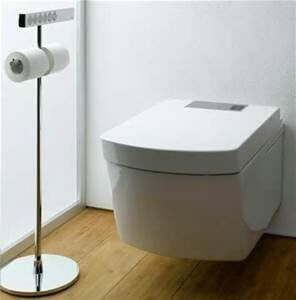 If you prefer your toilet hidden away from view, you might consider the Stark X toilet by Duravic. When you close the seat, the toilet is hidden. Like your toilet eco–friendly but a bit indulgent? 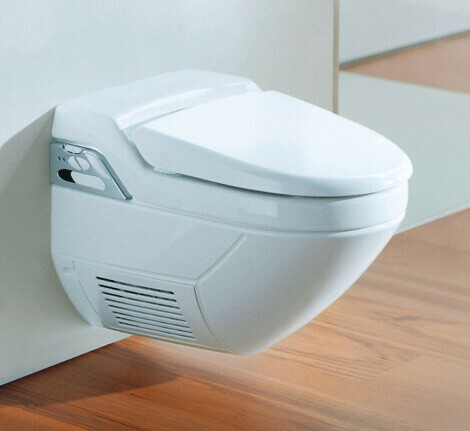 Check out the Neorest 600 by Toto. How about a little music while you relax? Kohler’s Numi toilet offers a wide array of features, including a heated seat, a foot warmer and the ability to stream music through the toilet via your Bluetooth device. And if that isn’t enough, motion sensors lift the lid when you approach so everything is hands–free. The Toto Washlet offers hands–free drying, a warm-water cleanse, a heated seat and soft–close lid among other options to make your bathroom experience as comfortable as possible. Luxury is just a flush away when you choose a new toilet with all the latest amenities. And when you’re ready to have your new toilet installed, Eyman Plumbing, Heating & Air Conditioning is here to install it for you, 402-731-2727.